HP ProBook 430 G3 13.3"
HP ProBook 430 G5 13.3"
HP ProBook 440 G3 14"
HP ProBook 440 G5 14"
HP ProBook 450 G3 15.6"
HP ProBook 450 G5 15.6"
HP ProBook 455 G4 15.6"
HP ProBook 455 G5 15.6"
HP ProBook 470 G3 17.3"
HP ProBook 470 G5 17.3"
HP ProBook 640 G3 14"
HP ProBook 645 G3 14"
HP ProBook 650 G3 15.6"
HP ProBook 655 G3 15.6"
HP EliteBook 725 G4 12.5"
HP EliteBook 840 G3 14"
HP EliteBook 840 G4 14"
HP EliteBook 850 G3 15.6"
HP EliteBook 850 G4 15.6"
HP EliteBook 1040 G4 14"
HP EliteBook x360 1020 G2 12.5"
HP ZBook 14u G4 14"
HP EliteBook x360 1030 G2 13.3"
HP ZBook 15u G4 15.6"
HP ZBook 17 G4 17.3"
HP ZBook Studio G4 15.6"
HP ProBook 11 x360 G2 11.6"
HP Pro x2 612 G2 12"
Microsoft Surface Book 2 13.5"
Microsoft Surface Pro 5 12.3"
Microsoft Surface Pro 4 12.3"
Dell Optiplex 5050 Series Desktops are the ideal way for Small to Medium Size Businesses (SMBs) to easily expand their business PC solution to meet the growing needs of their end users! Made to be versatile, easily managed, and secure the Dell Optiplex 5050 desktops help you stay flexible, maximizing any work environment. With Micro, Tower, and Small Form Factor chassis to choose from no matter what your space limitations may be there is a Optiplex 3050 perfect for you! Security and management is also more robust than ever with features such as Dell Command Suite to simplify updates and optional Intel Standard Manageability allowing you to feel safer knowing your desktop data is not at risk. 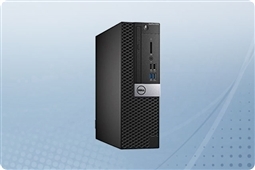 Plus with the power Intel Core processors and highly customizable memory and storage options the Dell Optiplex 3050 Series customization flexibility is second to none! 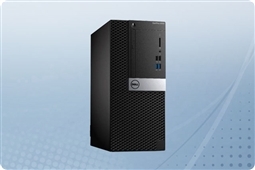 Aventis Systems is proud to offer all of our Dell Optiplex 3050 Desktops with a 1 Year Essentials Warranty. Additionally, upgrades to Express NBD parts replacement, Secure Drive hard drive retention, and Extended 2 Year term warranties are available for more robust support. 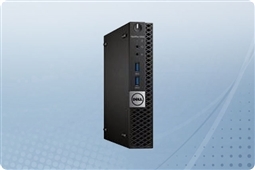 So check out our models below and customize your easily expanded and managed Dell Optiplex 5050 small form factor, tower, or micro desktop today! Are you looking for software upgrades for your existing desktops, workstations or laptops? Please browse our Microsoft Windows Operating Systems and Office software. Copyright 2017 Aventis Systems, Inc. All Rights Reserved.